The LuxGear Follow Focus Gear Ring from Cool-Lux is a seamless lens gear for lenses with a focus-barrel diameter of 66 to 67.9mm. It features standard 0.8-mod/32-pitch geared teeth that makes it compatible with cine-style follow focus systems. The gear slides onto your focus ring from the front or back of the lens and holds securely without the clamps, screws or zip ties that can interfere with your follow focus and limit your lens's rotation. This gear is precision molded in high-durometer silicone and is available in 16 sizes, each designed to fit lenses within a two-millimeter diameter range, ensuring a tight compression fit on the focus barrel. To find the appropriate sized gear for your lens, please see the lens compatibility chart and sizing tools accessible by clicking on "Guides & Manuals." 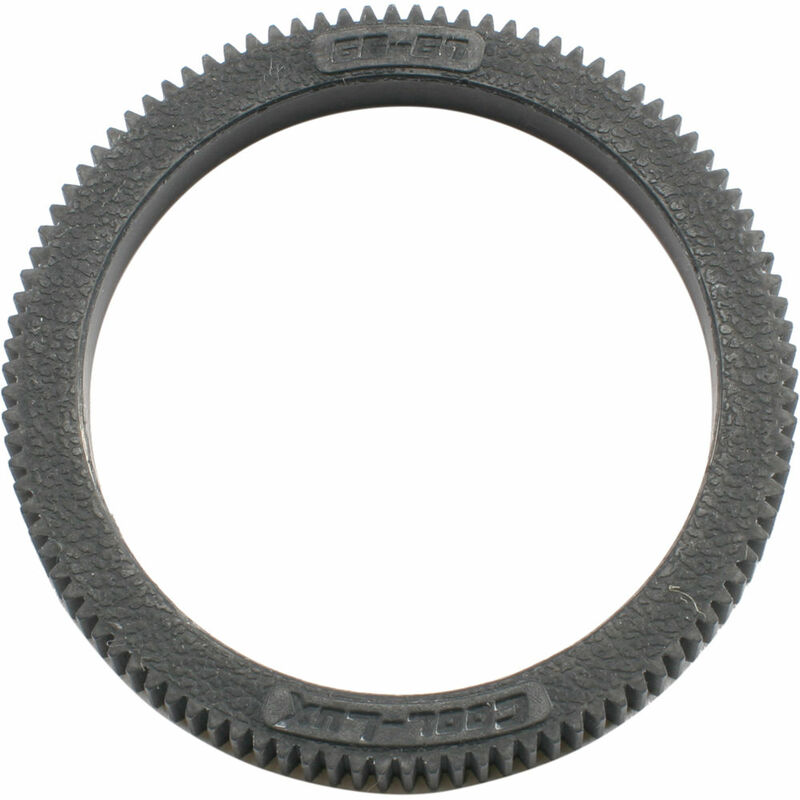 Box Dimensions (LxWxH) 7.35 x 5.95 x 0.7"
LuxGear Follow Focus Gear Ring (66 to 67.9mm) is rated 5.0 out of 5 by 3. Rated 5 out of 5 by jon the man simmons from fits panasonic lumix g vario 12-35mm! perfect fit for the panasonic lumix g vario 12-35mm. Rated 5 out of 5 by Clayton from Perfect1 It fits on the focus ring of my Panasonic 12-35 2.8 perfectly! Also it fits right into my cage with no problems. Rated 5 out of 5 by Joshua from Well Made and fits perfectly. This lens gear works perfectly with my follow focus and my Lumix 12-35mm that came with my GH4. It's made of a rubbery material that stretches a small amount in order to fit lenses. I recommend this product, albeit a little costly.